Kimberly M. Goff-Crews, B.A., J.D. 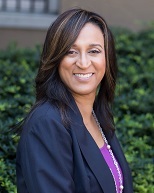 Kimberly M. Goff-Crews, secretary and vice president for student life at Yale. In this position, she reports directly to the president and provides vision and management for three facets of the Yale experience – institutional governance, university traditions and events, and student life. She was appointed to her position in August 2012. As secretary to the Yale Corporation, a nineteen member governing board and policy-making body for Yale University, Ms. Goff-Crews facilitates meetings, elections, and other projects related to university policy making. Working closely with administrators and the University Council, an advisory body to the president, she assists in the implementation of broad-reaching strategies related to the short- and long-term visions for the university. She is responsible for the conduct of official university functions, including Commencement, Veterans Day, and other significant institutional events such as the 2013 inauguration celebration of Yale’s twenty-third President, Peter Salovey. As Yale’s first officer for student life, she advises the president, vice presidents, trustees, and other academic and administrative leaders about campus issues at a local, national, and international level, and she ensures that university-wide policies and procedures maximize support for all 12,000 students. Ms. Goff-Crews leads collaborations with student life professionals from across the university, shaping campus life initiatives to create a safe and supportive student environment. She has recently driven projects to improve university alcohol policy, veterans’ and ROTC affairs, mental health services, and graduate and professional student resources. She works closely with student leaders, connecting them to university administration and supporting their visions for life at Yale. Ms. Goff-Crews oversees the University Chaplaincy, the Office of LGBTQ Resources, and the Resource Office on Disabilities. She also has dual supervision of a discrete set of student life programs and services within Yale College and the Graduate School of Arts and Sciences. Ms. Goff-Crews held the position of Vice President for Campus Life and Dean of Students at the University of Chicago, where she was responsible for the oversight and strategic direction of student services and student life, from 2007 to 2012. From 2003 to 2007, she served as Dean of Students at Wellesley College, where she revised student disciplinary processes and upgraded student services. Prior to that, she was Associate Dean in the Graduate School of Arts and Social Sciences and then Chief of Staff to the President and Director of Planning at Lesley University in Boston. From 1992 to 1998 she served as director of the Afro-American Cultural Center at Yale, where she designed and implemented programs to support student development, and made improvements to First Year Orientation, tutoring programs, and the Yale College Summer Programs. She focused on enhancing the African American student experience and improving retention rates for women and students of color in the science, technology, engineering, and mathematics (STEM) fields through the creation of the Science, Technology, and Research Scholars (STARS) program. Ms. Goff-Crews is a graduate of Yale College and Yale Law School. She serves as secretary/treasurer on the Subscribers’ Advisory Board for United Educators, and is on the board of Connecticut Campus Compact. She is a member of NASPA, the national association of student affairs professionals, and special advisor to the Women’s Health Research at Yale. She is the author of a recent article on minority student education in Journal of College and Character. Prior to returning to Yale in her current role, she served as one of the four alumni on the Advisory Committee on Campus Climate, a blue-ribbon, alumni panel, commissioned by the president of Yale to examine and recommend changes to programs, procedures and policies related to sexual misconduct at Yale. Learn about all the services and resources available to Yale College, graduate, and professional school students and scholars at studentlife.yale.edu.